Recently, I had posted two articles sharing some thoughts on what I believe is the central focus of the gospel, as well as the whole biblical message, that being the kingdom of God. You can read the posts here – post 1 and post 2. I strongly believe that the gospel is connected to the reality that Jesus reigns and that the kingdom rule of God is here to bring about redemption, restoration and reconciliation with the Father. From the good news that ‘all authority in heaven and on earth’ has been given to Christ (Matt 28:18), we can also proclaim the good news that people can be forgiven of their sin, reconciled to the Father and receive new-eternal life. If anything, I think it highly important to ground the gospel in what Jesus identified as central. And many, many times Jesus spoke of the good news as the good news of the kingdom of God (or heaven). Now, what some might say, and I do understand this perspective, is that the good news is not so much the good news about the kingdom of God but rather the good news that comes from the kingdom of God. This good news flows out of the kingdom of God. Therefore, for some, it would be readily recognised that God reigns, as does His Messiah, Jesus. There is an agreement that the kingdom has come in the work of Christ and now the continuing work of God’s Spirit in the world. But the good news is not a telling of the fact that God reigns and is King, but that the good news (however it might be defined) comes from the King and His kingdom. So I understand that and, lo and behold, I am even willing to work with this. But I still find myself convinced of the reality that Jesus himself proclaimed the kingdom of God itself as good news. And he expected his first followers, the 12 apostles (and I suppose us as well), to continue this same message. I have been reading Luke’s Gospel as of late. That’s just where I am at in Scripture. I had read Matthew and Mark. Now it was on to Luke. And, if Luke 4:43 above was not interesting enough to consider, this week I read a most compelling passage in the same Gospel account. You see, in vs2, we read that Jesus sent out the 12 to ‘proclaim the kingdom of God and to heal’. But, if you keep reading, in a kind of parallel fashion, we read in vs6 that, ‘they departed and went through the villages, preaching the gospel and healing everywhere’. In vs2, Jesus tells them to proclaim the kingdom of God and heal. Then, in vs6, we are told that, in obedience to Jesus, they preached (proclaimed) the gospel and healed everywhere. I believe this passage is very telling. There is a plain-as-day connection between the kingdom of God and the gospel. Now, of course, one might point out that it is just one passage. Well, it is. But it is not left as a dangling, side statement all on its own. As I have looked to point out, there are plenty of passages right through the Gospels, actual recorded words of Jesus or statements surrounding the words and work of Jesus, that continue to emphasise the connection between the good news and the kingdom of God. Again, I reiterate and clarify, I believe that when we proclaim the forgiveness of sinners, the redemption through Christ’s work on the cross, the new life that comes via the Spirit of God, we are truly proclaiming gospel, the good news. But I also strongly believe these flow from the reality that Jesus is reigning, He is King, and the kingdom of God is here to bring the just and gracious rule of God on earth as it is in heaven. Out of this foundational truth of the gospel that Jesus himself proclaimed we can be assured of the King’s plan to redeem, restore, reconcile, forgive, judge and finally make all things new. This entry was tagged gospel, Gospels, kingdom, kingdom of God, Luke. Bookmark the permalink. I linked elsewhere to a really pertinent recent talk by N.T. Wright (11 Jan 2011): “Putting the Gospels Back Together: How We’ve All Misread Our Central Story”. For flashplayer via N.T Wright Page: click this. To listen or download mp3: go here. I can’t recommend this talk any more! An excellent survey of biblical history/narrative, ‘Jesus’ and Paul’s thought’, and how “the gospel” has been interpreted in Church History up till now, etc., etc. (You wrote): Again, I reiterate and clarify, I believe that when we proclaim the forgiveness of sinners, the redemption through Christ’s work on the cross, the new life that comes via the Spirit of God, we are truly proclaiming gospel, the good news. First, I saw the rest of your paragraph and agree with it. But I ‘isolated’ the above to make some observations. Most of us, at one time or another, have probably understood “the gospel” to mean (something like): ‘The basic content of the Christian message’ (including forgiveness of sins, redemption in Jesus, a new life in Him, etc.). This understanding isn’t totally incorrect. However, it’s really only speaking about the results or benefits which comes to anyone who has ‘saving faith in Christ’. Thus, it’s possible for one to hear and believe the ‘good news about salvation and the life to come’, and so on, without understanding the biblical gospel (what the Bible itself portrays “the gospel” to be, and what all it entails). 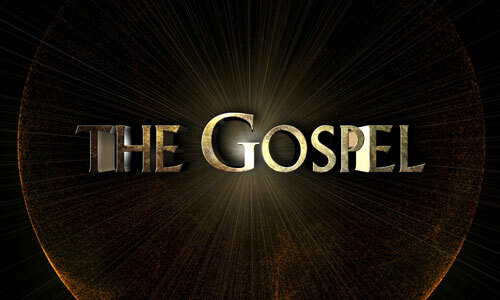 Since for Jesus and Paul the announcement of God’s inbreaking kingdom was both the fulfillment of prophecy and a challenge to the world’s present rulers, ‘gospel’ became an important shorthand for both the message of Jesus himself, and the apostolic message about him. Paul saw this message as itself the vehicle of God’s saving power (Romans 1:16, 1 Thessalonians 2:13). But the gospel is not itself about you are this sort of a person and this can happen to you. That’s the result of the gospel rather than the gospel itself. It’s very clear in Romans. Romans 1:3-4: This is the gospel. It’s the message about Jesus Christ descended from David, designated Son of God in power, and then Romans 1:16-17 which says very clearly: “I am not ashamed of the gospel because it is the power of God unto salvation.” That is, salvation is the result of the gospel, not the center of the gospel itself. In summary: It’s possible for one to hear and believe certain ‘good news things about Christ and becoming a Christian’ without believing, understanding, or knowing what the biblical meaning of “the gospel” actually is.